Meringue has gotten a bad rap for being unnecessarily complicated to make, something only French pastry masters would dare to attempt, and the ones you often find in stores taste like chalk. 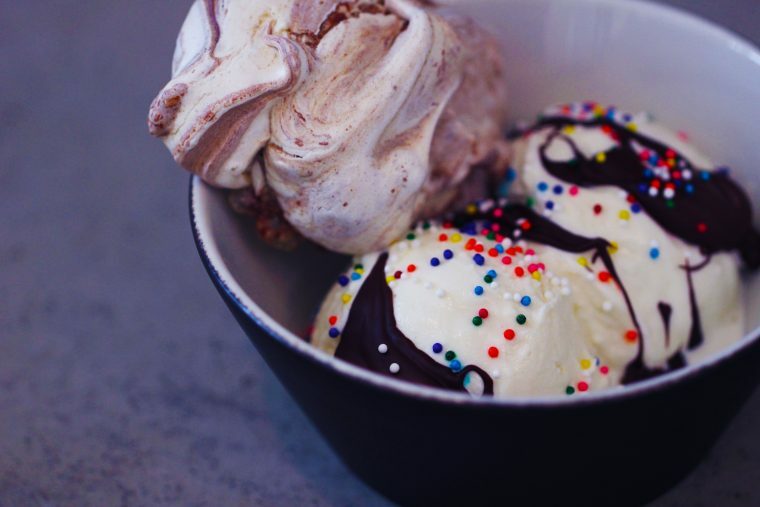 These meringues will convince you otherwise. 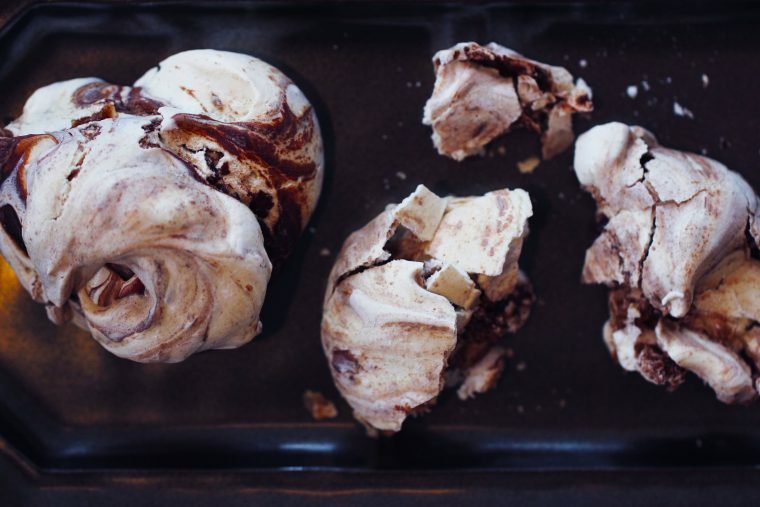 The swirls of chocolate are not only beautiful but they also help make these meringues super moist and just a little bit decadent. Preheat oven to 250˚F and line two baking sheets with parchment paper. Melt chocolate in a heatproof bowl over simmering water. Once melted, add the espresso and remove from heat. Put egg whites into bowl of electric stand mixer, fitted with whisk attachment and whisk on medium speed until frothy. With the mixer still on medium speed, slowly add the sugar, then vanilla and vinegar. Whisk until stiff peaks form and the meringue looks glossy (about 2 minutes). 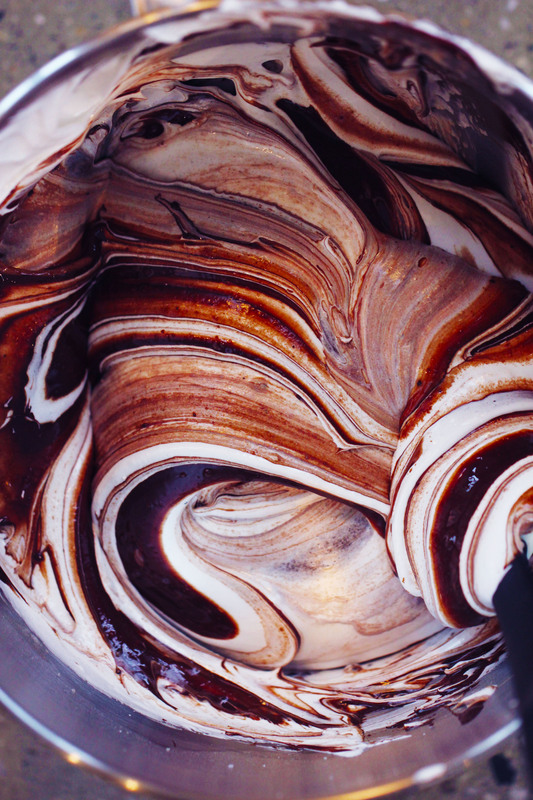 Fold in melted chocolate – do not mix too much so you keep those beautiful swirls. Spoon golf ball-sized dollops onto prepared baking sheets. 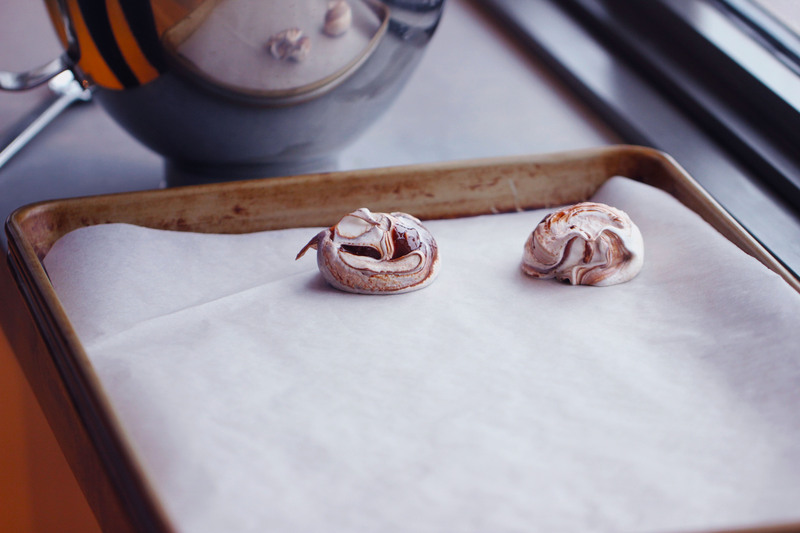 Put the meringues into the oven and immediately lower the temperature to 225˚F. Bake for 1 hour or until meringues no longer stick to parchment. Turn the oven off and leave meringues in another 20 minutes then let them cool on a wire rack.